Alternative branding and tagline with pattern background and lighting. When you shift the direction of your business and tighten its focus on a new special niche, your brand also needs to shift and refocus. That’s exactly what Kathy Fleming wanted to do. 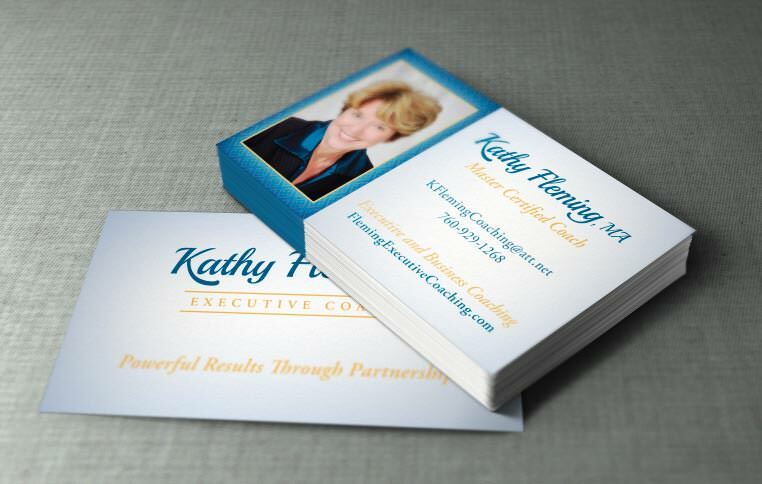 During a long successful career as a life coach Kathy decided that she wanted to focus her outstanding coaching talents on current and aspiring executives who wanted to get the most out of their lives and careers.